Live ivy mossed reindeer topiary for home, office or business. 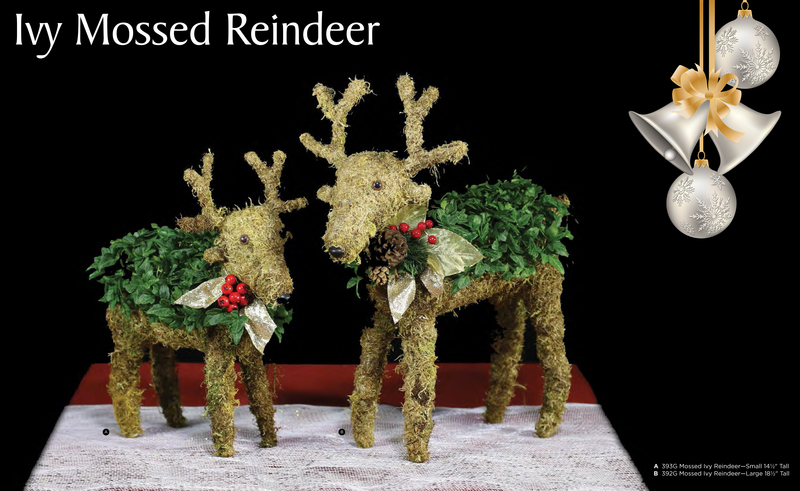 Our live ivy mossed reindeer topiary for Christmas decorating are the cutest way to make your home holiday friendly. This reindeer is a sweet, living addition to your holiday decor. These little reindeer are easy to manage, yet cute enough to keep coming back year after year. Planted with natural moss and our Signature Ivy. Like other ivy products, it thrives in bright, indirect sunlight, so you can keep it indoors near a south- or west-facing window. If no window is available, ivies are hearty plants, and respond well to artificial light conditions. This topiary can live outside, though a cool environment is ideal. Keep indoors during seasons of extreme heat or cold, and avoid temperatures above 75 degrees Fahrenheit, especially if the air is dry. For longer-term care, let the soil dry slightly between watering, and water less in winter. Rinse the foliage regularly to help prevent insect infestations, and keep the leaves looking fresh. This entry was posted in Fresh Topiary Plants For Christmas. Bookmark the permalink.